Invitation Party of the divine holy spirit of Mogi das Cruzes. Photo: Disclosure. 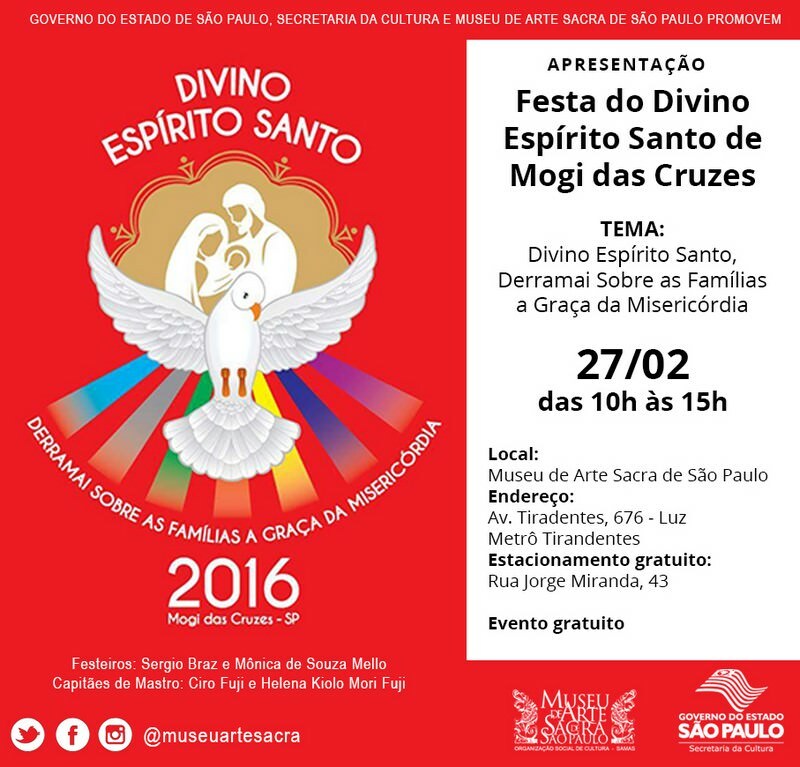 A Museum of sacred art brings, once again, a presentation of the famous “Festa do Divino Espírito Santo of Mogi das Cruzes”, that will come on the topic “Divino Espírito Santo, Pour out About families Free of mercy”. To check the script of the presentation, to access the BUT site.